Non-Surgical Facelift or Surgical Facelift? Understanding the difference between the surgical and non-surgical treatment is important. Both options work for different problems but there are differences as well. So non-surgical facelift or surgical facelift? This blog post discusses which one is better for you. Please continue reading to know the difference between these two options. Downtime: There is downtime after taking it. Results: It can deliver major changes to the face. Side Effects: It has some minor and temporary side effects. Cost Structure: The cost of a surgical procedure is higher. Incisions and Stitches: It involves some incisions and stitches. Pain and Discomfort: No pain and discomfort due to anesthesia. Downtime: There is no downtime after taking it. Results: It can deliver minor but regular changes to the face. Side Effects: It only has minimal and temporary side effects. Cost Structure: The cost of a non-surgical treatment is lower than the surgical method. Incisions and Stitches: It does not involve incisions and stitches. If you are looking for a major facelift. If you want to get ultimate results in short time. If you want to get desired results in one session. If you are ready to take care during the downtime. If it is alright for you to have some temporary side effects. If you are not able to take the surgical option. If you do not like to have downtime at all. If you can only afford minimal side effects. If you want to get minor but meaningful results. If you want to take two or more treatment session. If you are willing to try different non-surgical options. Considering a Facelift in Dubai? 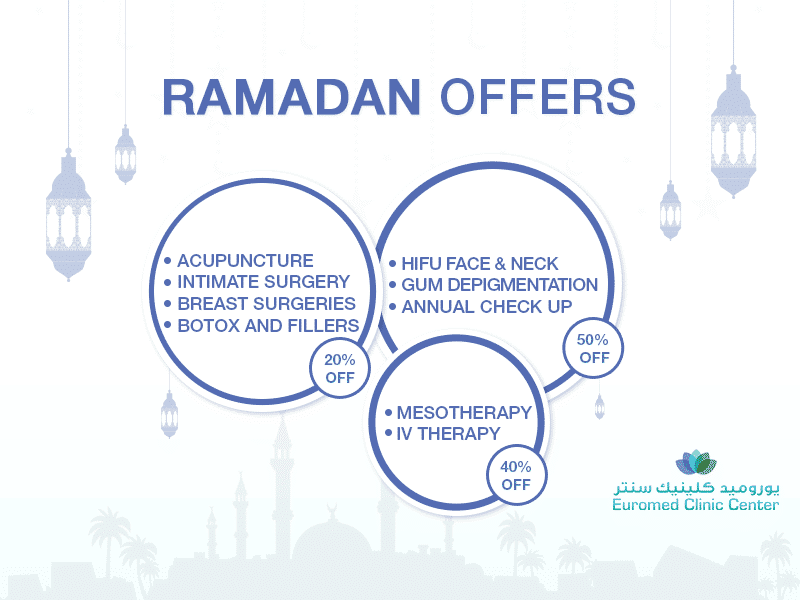 If you are looking for a facelift in Dubai, the Euromed Clinic Center Dubai has different options for you. With the help of our board-certified plastic surgeons, we always deliver desired in a short time. Above all, our rates are not very high. Book your appointment now! Book your appointment now and lift your facial skin using one of our latest surgical or non-surgical treatments.